DES MOINES, Iowa — Farmers already reeling from low prices and uncertainty amid the nation’s trade dispute with China are welcoming a decision to extend a deadline for federal aid because of the partial government shutdown. Secretary of Agriculture Sonny Purdue on Tuesday announced the Agriculture Department would extend a Jan. 15 deadline for farmers to apply for payments to offset losses they had incurred due to the trade dispute, which led to new tariffs that lessened demand and lowered crop prices. 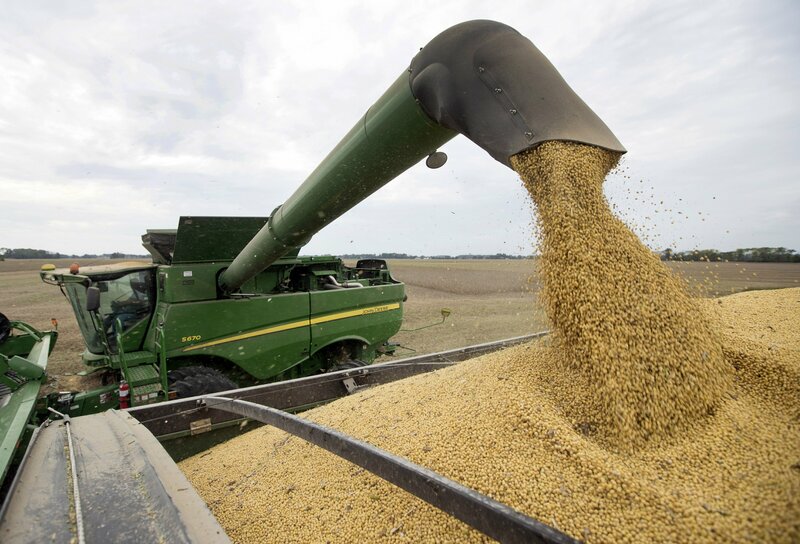 About $9.5 billion in direct payments have been set aside for growers of soybeans, corn, wheat and other commodities. Farmers can apply online for the aid, but Purdue noted they couldn’t complete the application because the USDA’s Farm Service Agency has been closed since Dec. 28. Under Purdue’s new order, the application deadline will be extended by an equal number of days to the business days the government was partially closed. Purdue’s announcement was welcomed by Iowa U.S. Sen. Chuck Grassley, a farmer who earlier had said he’d seek the federal aid.